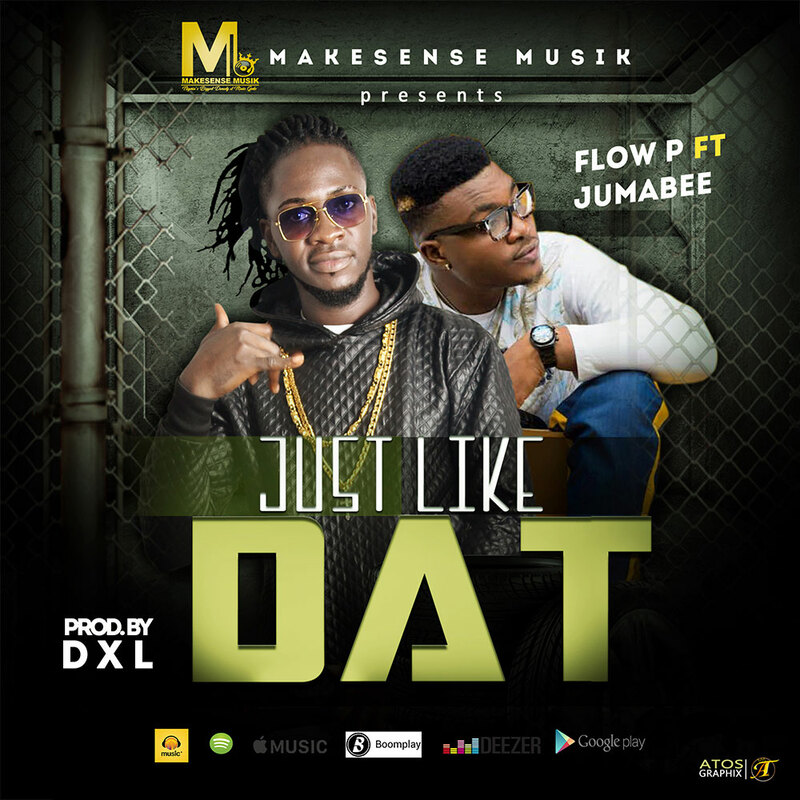 MAKESENSE Musik recording artiste, Flow P drops his highly anticipated hit single titled ‘’Just Like Dat’’ featuring S2DB Star man, Jumabee. 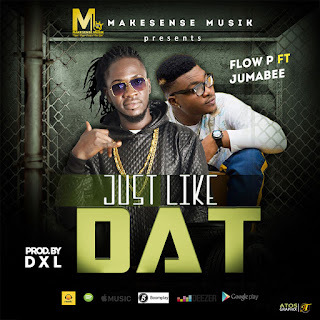 This collabo results in a soothing lovely jam spiced on a sick instrumentals produced by the serial beat murderer, DXLdaBeat. This is a perfect vibes for all lovers out there.